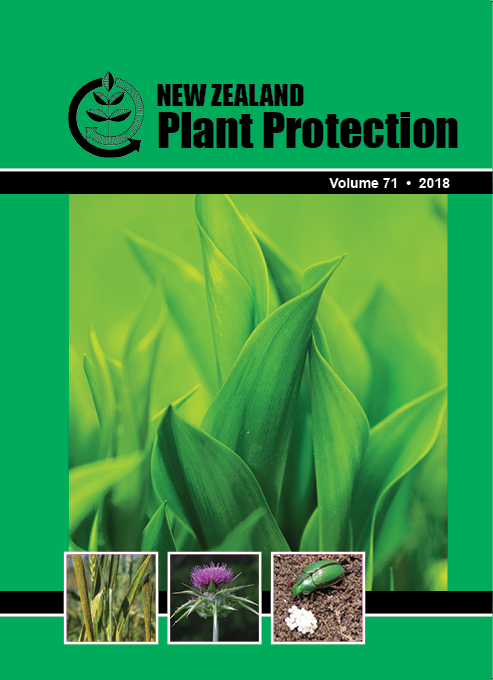 Seedlings of kale cultivars are highly susceptible to direct feeding by the wheat bug Nysius huttoni (Hemiptera: Lygaeidae), an endemic New Zealand insect pest. Damage from this pest leads to reduced plant establishment so is currently managed by prophylactic use of pesticides. Encouraging farmers to use less susceptible kale cultivars can reduce pesticide costs and improve the environment. A series of choice and no-choice tests was conducted in a controlled-temperature room to evaluate the relative susceptibility of seedlings of the six most widely grown kale cultivars in New Zealand (Gruner, Kestrel, Regal, Colear, Corka, and Sovereign). Bugs settled most readily on Kestrel in both sets of tests, although mean settlement times did not differ significantly among cultivars. However, feeding damage on Kestrel occurred significantly earlier than on Corka or Gruner. These results indicate that Kestrel is the cultivar most susceptible to wheat bugs and that pesticide use could be reduced if less susceptible cultivars were more widely grown in New Zealand. These results also provide important information for developing integrated-management protocols for brassica pests.